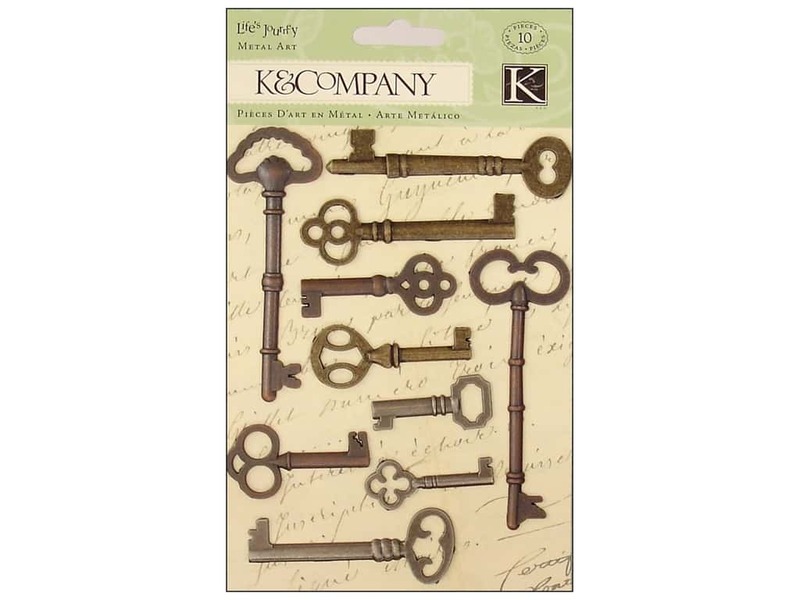 Description: K&Company Metal Art Life's Journey Keys will help turn your creation into a memorable and "charming" keepsake. Package contains 10 total pieces. Various, flat, skeleton keys, in a variety of antique metal finishes. Sizes vary from 1 1/2 to 3 1/2 inch long. Is one of these the key to your heart? See more K&Co Metal Art. K&Co Metal Art Lifes Journey Keys -- CreateForLess 5.00 out of 5 based on 1 ratings. 1 user reviews.